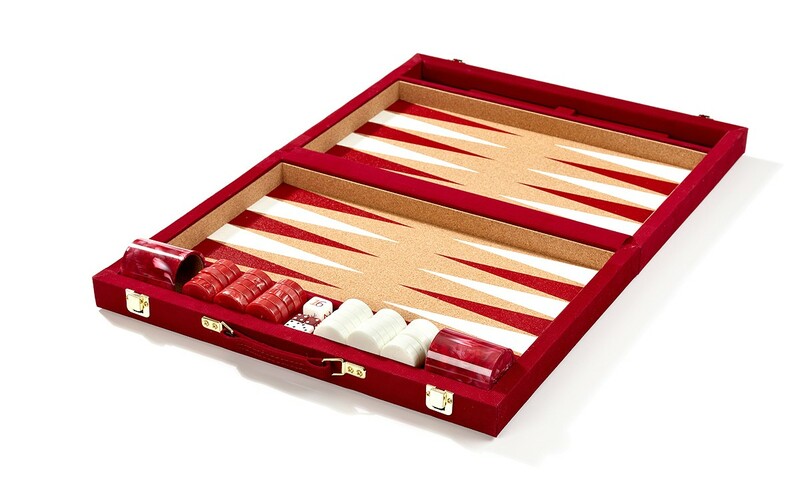 Found in backgammon clubs, boardrooms, and tournament halls across the globe, Crisloid’s backgammon sets uphold a tradition of the finest American craftsmanship. The signature precision-fitted cork playing surface is designed for an especially smooth and quiet game. Polished acrylic stones in red and white glide along the surface while precision dice tumble out with whispered bounces. 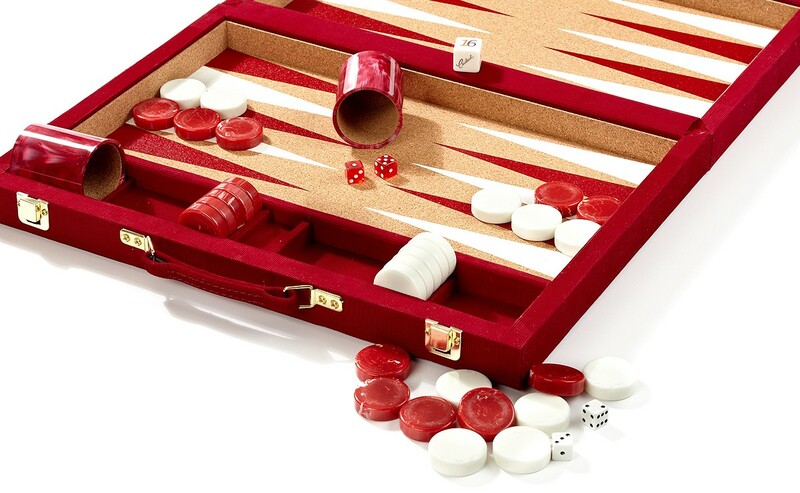 Cylindrical, cork-lined dice cups feature trip lips to promote maximum pip spin and fair play. 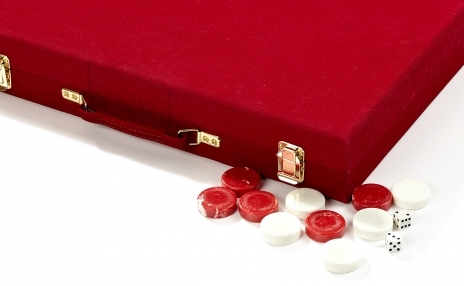 The sturdy brass hinges and locks on this sleek red corduroy attaché lock your board and pieces securely away for convenient transport. 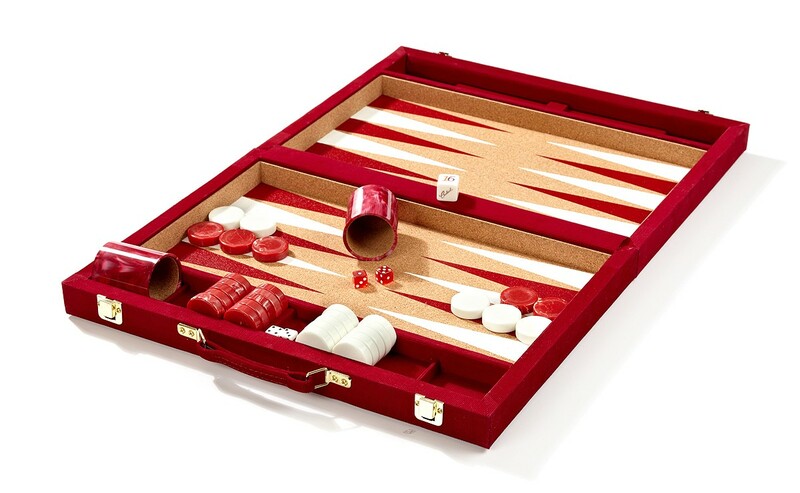 Fitted storage spaces flank the board and contain all the accoutrements for a successful game. Open Size: 30¼" x 20¾" x 1¾"
Closed Size: 15" x 20¾" x 3½"
Checker Size: 1¾" x ½"